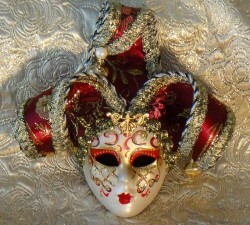 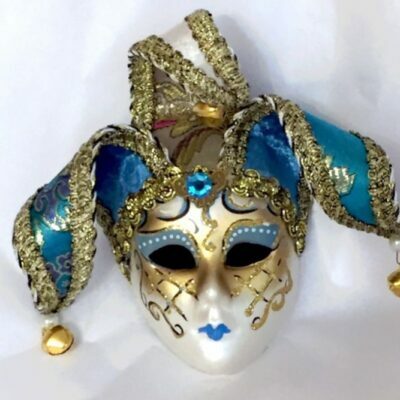 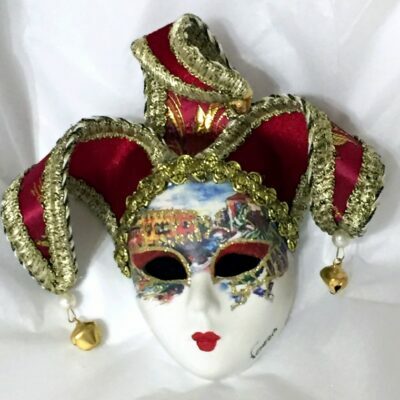 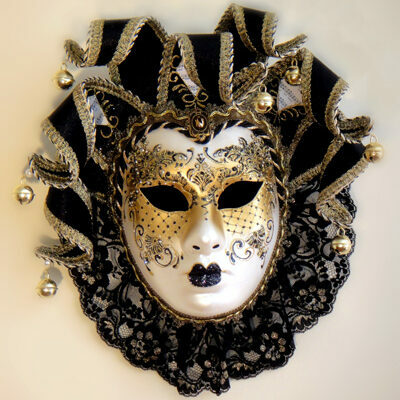 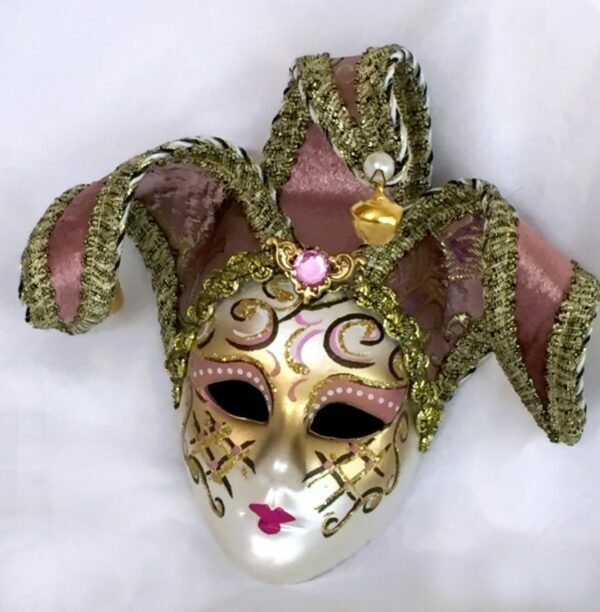 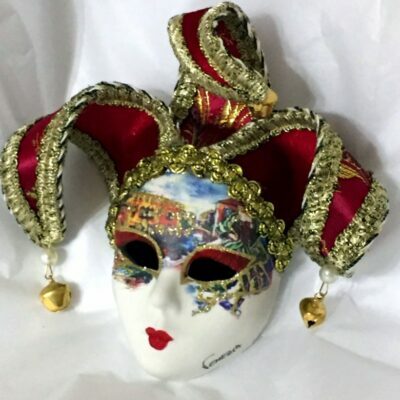 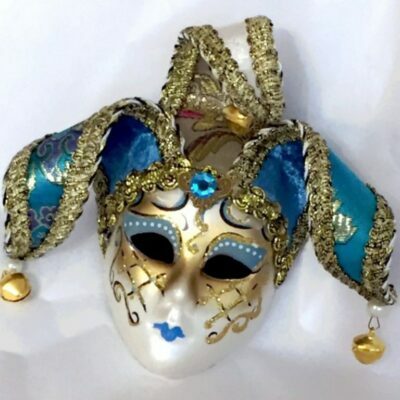 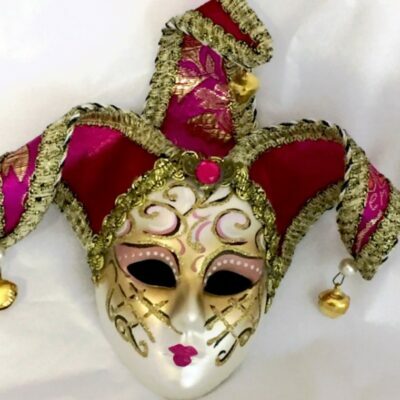 Mini Jester Mask, made in Venice Italy and just perfect to hang on the wall as a decorator tool. 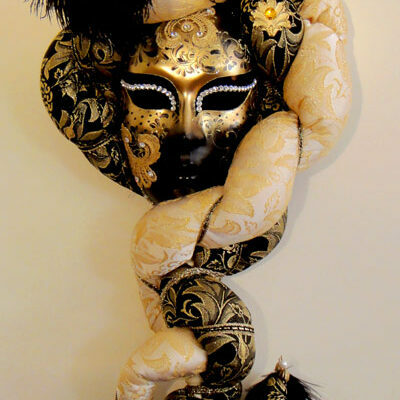 This mask measures around 12 m high and has brocade horns that can be curled to suit you taste. 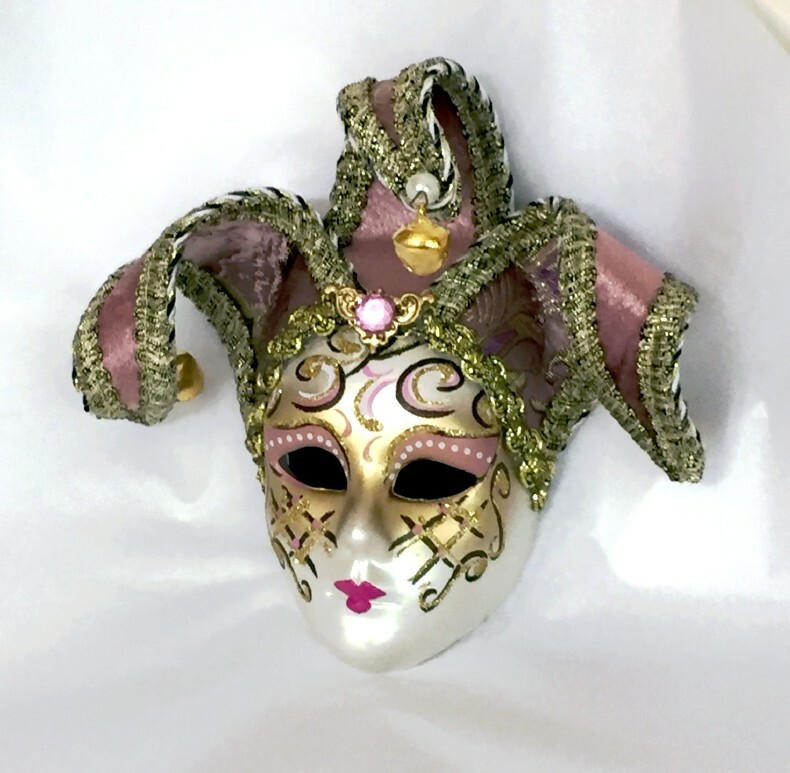 The ceramic Face has a pearl finish and is trimmed in Gold Glitter. 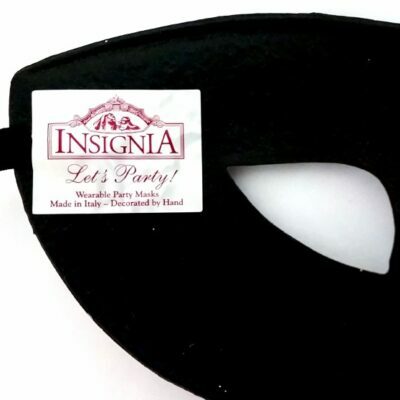 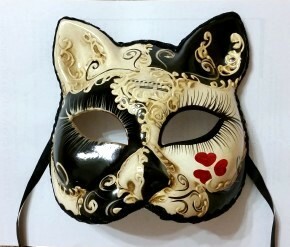 This mask can be hung or stood up in a plate stand. 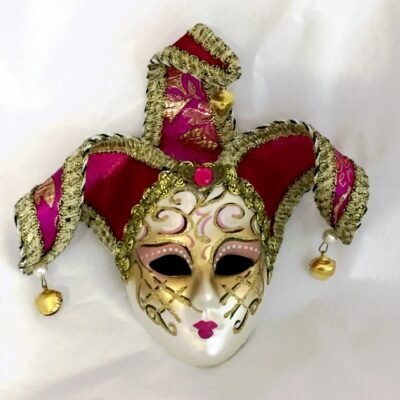 A collection of these Mini Jesters is fun to collect and will compliment any home.